Memories of PHS...just a lot of fun. Three of us Hartwell girls at PHS all at the same time...crazy! Was so crazy about Mr. Duke! Loved Mr. Marks and enjoyed working in the office and serving on different committees. Loved slave day too! Picture below taken Dec 2010. Pam Hartwell Hartwell-James added a comment on her Profile. 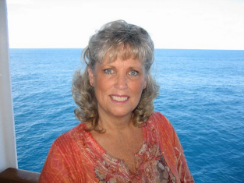 Pam Hartwell Hartwell-James updated her profile. View. Pam Hartwell Hartwell-James has a birthday today. Pam Hartwell Hartwell-James posted a message. Hey Howard, great to see you! You're looking happy and healthy! Don Gilmore Gilmore posted a message on Pam Hartwell's Profile. New comment added. Pam Hartwell Hartwell-James posted a message. New comment added. It's so great to see you here! Ok maybe not see you without a picture! Hope you are happy and doing well' do you think you'll make it to the reunion? I still trying too! Pam Hartwell Hartwell-James added a comment on her Profile. New comment added. Hey there miss Judy...Love seeing you on our PHS site...You look great and so happy! I have a son named Casey as well, born in 1985! I owned a hair salon in Huntington Beach for 15 years but sold it in 1990! Sure miss the beach! Terry, looks like you have enjoyed a full life! So much you've been able to do, places to see, and I have a feeling it's just going to keep getting better!...hugs to you! Pam Hartwell Hartwell-James has left an In Memory comment for Lynda Leonard Farrell. Please include me in spirit as you remember her! Sending hugs you each of you!